The US is in the grip of weather-related disasters from the Rocky Mountains to the Atlantic Coast. 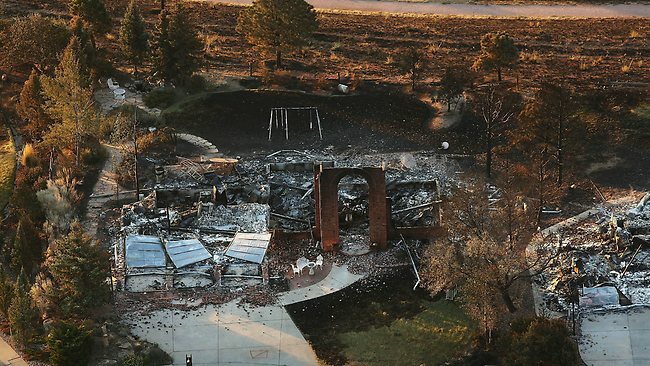 UPDATE: PEOPLE who fled the most destructive fire in Colorado's history have visited the most devastated neighbourhood, and many found their homes among the nearly 350 burned to the ground. Two bodies were found in the ruins lifting the death toll to 17. Residents marvelled at the random path of disaster. Nothing remained of CJ Moore's home but the concrete, but the letters in her mailbox were unscathed. ''It's just unreal. Unreal,'' she said. Nearby cars were burned to nothing but charred metal, but three neighbours' homes were untouched. Melted bowling balls were scattered in Moore's front yard. About 7000 people will be allowed to return to their homes for good on Sunday night local time. 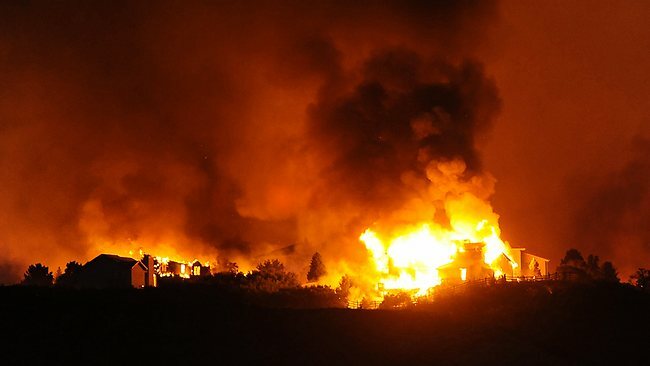 That would leave about 3000 still evacuated, down from more than 30,000 at the peak of the Waldo Canyon fire in Colorado Springs. The fire was 45 per cent contained late on Sunday night local time after a long week of shifting winds that frustrated firefighters. 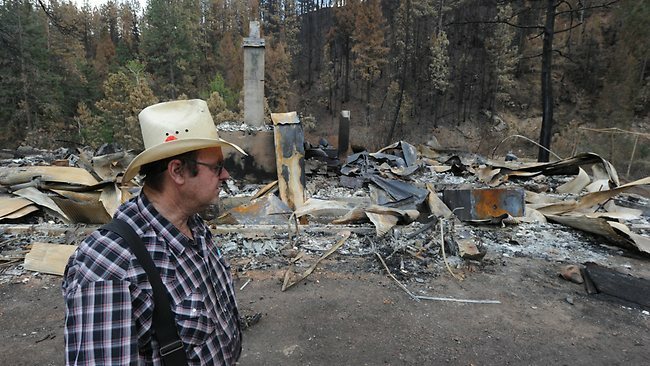 It was one of many burning across the West, including eight in Utah and a fast-growing blaze in Montana that forced residents in several small communities to leave. Authorities at the Colorado Springs fire said they are confident they have stopped flames from spreading. ''We're cautiously optimistic,'' incident commander Rich Harvey said on Sunday. The two victims' names haven't been released. Police Chief Pete Carey said on Saturday an estimated 10 people who had been unaccounted for had been located. Investigators were still trying to determine the cause of the fire that broke out on June 23, and which so far has cost $US8.8 million ($A8.61 million) to battle. Dangerous conditions had kept them from beginning their inquiry. Meanwhile, more than three million people in the eastern US are facing a second day of 40 degree temperatures without electricity after storms ripped through the region. It could be several days before all power outages in Washington, DC, and elsewhere are restored, officials say and the National Weather Service says more thunderstorms are possible. "Unlike a polite hurricane that gives you three days of warning, this storm gave us all the impact of a hurricane without any of the warning of a hurricane," Maryland Governor Martin O'Malley said. Mobile phone and internet service remain affected, petrol stations were shut down and residents have been urged to conserve water. Some major online services also saw delays and disruptions. In Colorado, firefighters have contained about 45 per cent of the Waldo Canyon fire outside Colorado Springs, according to the Denver Post. Temperatures shot back above 37C in many areas, prompting the US National Weather Service to warn of the prospect of severe thunderstorms including large hail and damaging winds. "Cities from St. Louis, Missouri to Washington DC are forecast to approach or break daily record high temperatures for yet another day and there may be more all-time records broken," added AccuWeather, a private weather service. 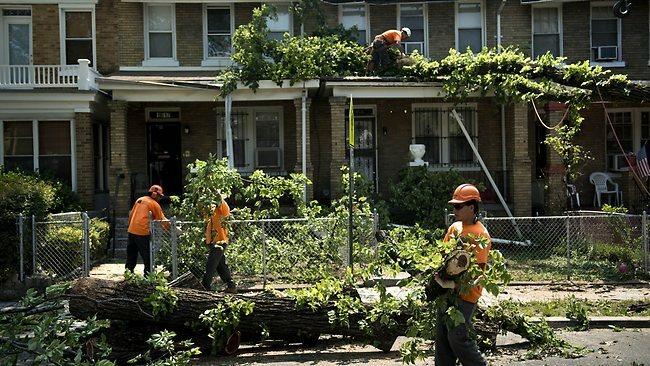 Pepco, the utility that serves Washington and some of its suburbs, said it may be a full week before service is restored to all its customers by teams of linesmen that included reinforcements from as far as Oklahoma and Florida. "The devastation is extensive and while we expect to have the vast majority of customers restored by the end of day Friday, restoration for some customers may extend into the weekend," Pepco regional president Thomas Graham said. Local authorities in Washington put out a hyperthermia alert, saying the heat index - which is the thermometer reading adjusted to take humidity into account - in the afternoon was 101 degrees fahrenheit (38C). "Cooling centers" remained opened in many urban areas as refuges for those - notably the elderly - unable to cope without air conditioning, and at least one major supermarket chain gave away free ice to all comers. The District of Columbia's emergency management agency suggested going to a movie or a museum in order to beat the heat. "Bottom line is, stay (as) hydrated and cool as possible," it said on its Twitter feed. Some 3.7 million homes lost power in Friday's storms and four states - Maryland, Virginia, West Virginia and Ohio - declared states of emergency. "The power is slowly coming back on line," West Virginia Governor Earl Ray Tomlin told CNN on Sunday, adding however that "we still have over half a million people without power." "We just once again ask people to be patient," he said. "It's going to take a few days." In Baltimore, Maryland, the local Baltimore Gas and Electric utility said it had deployed 1,000 trucks to restore power to 306,000 customers in and around the major port city. Storm debris was gone from major highways in the region, but downed branches and trees still littered secondary routes. 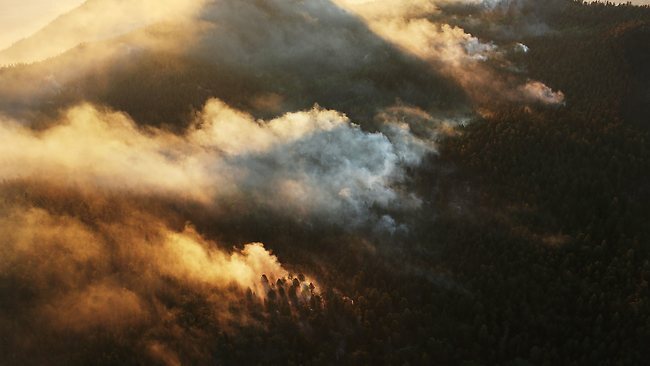 Responsible for the extreme early-summer weather has been a high pressure area parked over the southeastern United States - the same slow-moving weather system blamed for a fatal wildfire in Colorado earlier in the week. 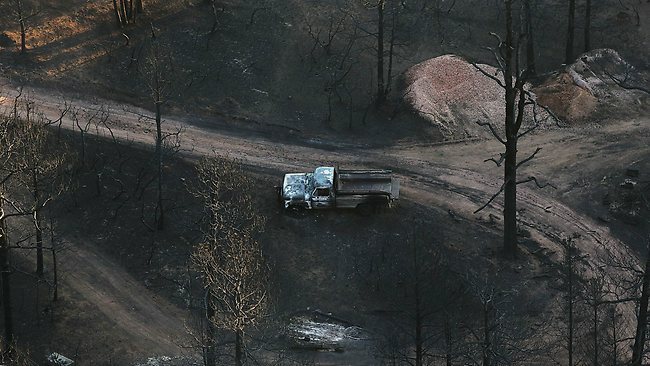 Firefighters supported by water bombers managed over the weekend to contain much of the Waldo Canyon inferno that killed three people, destroyed nearly 350 residences and left many hundreds homeless. Colorado Governor John Hickenlooper, speaking Sunday on CNN, said it felt as if the worst was over. "But we also know that Mother Nature will be fickle out here," he added. "We're keeping ourselves very alert." 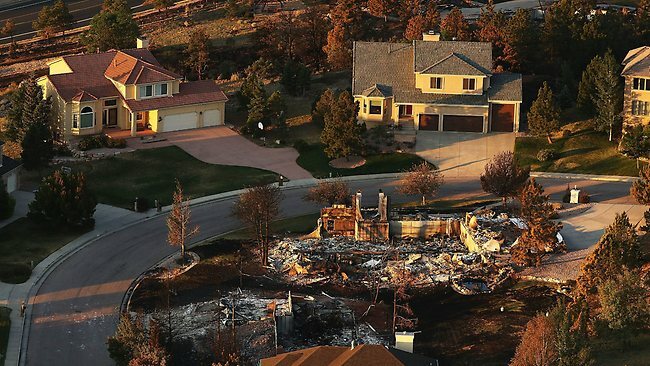 President Barack Obama visited Colorado on Friday to see the devastation first-hand and to praise "the courage and determination and professionalism" of those fighting the flames.